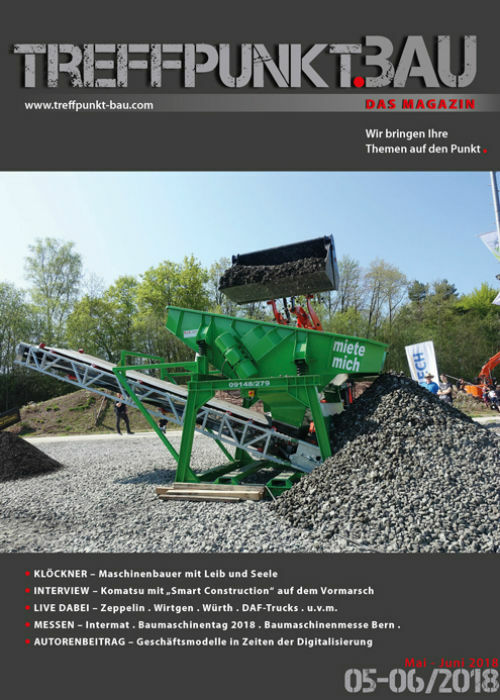 Treffpunkt.Bau gives an overview of civil engineering events and innovations and provides news for the construction machinery industry. 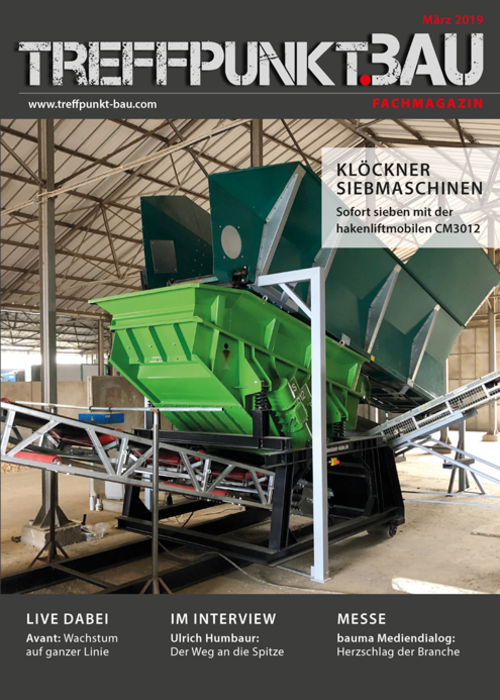 This magazine considers itself as information chain: From the Original Equipment Manufacturing (OEM) industry, over construction machinery production to construction machinery merchants and finally to the constructor himself as part of the main target group. 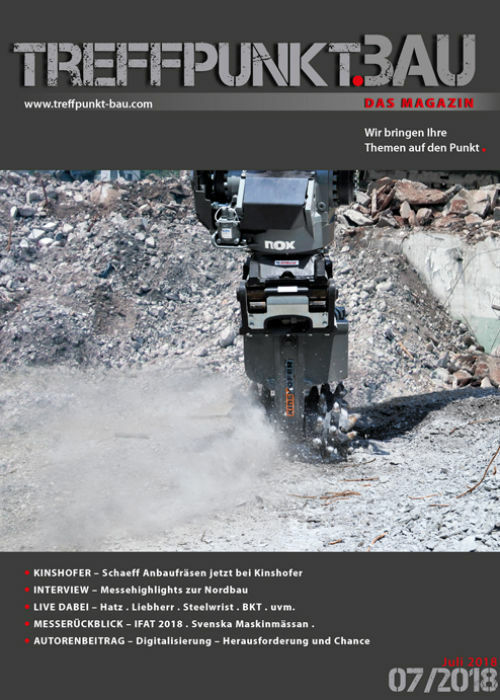 In 9 issues per year, this magazine informs about the whole range of construction machinery. 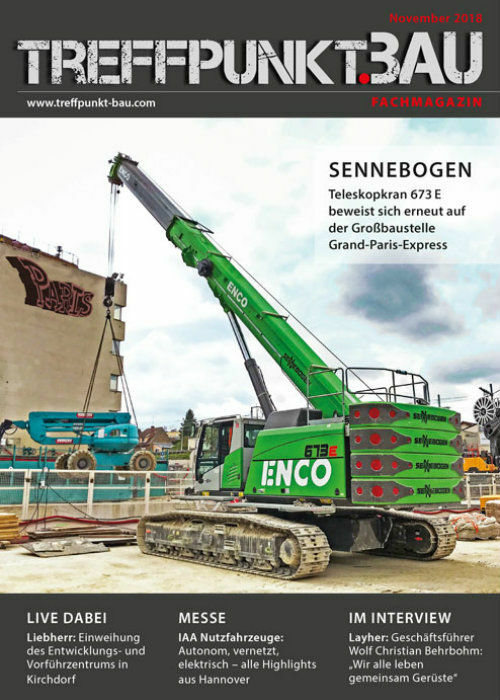 The carefully chosen topic of every issue will be examined in greater detail. 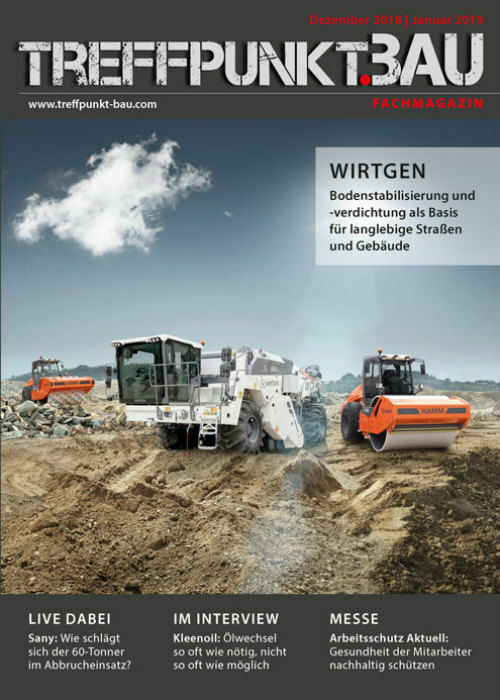 Some of the main topics are for example earth-moving machinery, engineering- and specialized engineering machinery. 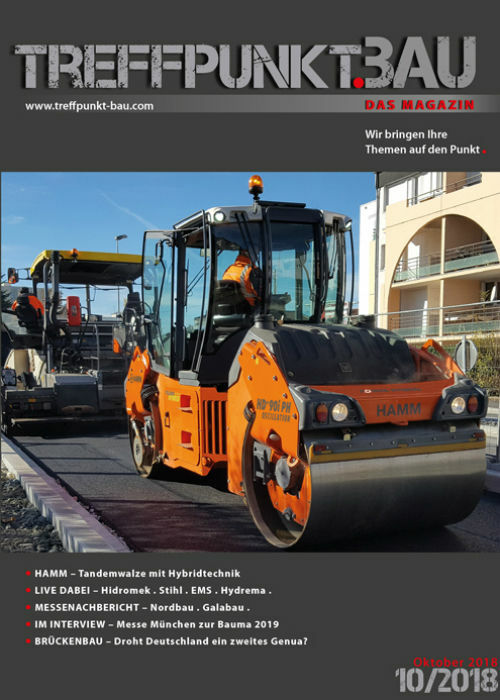 Further key topics are equipment and machinery for highway and road maintenance and construction, hoisting and crane technologies, construction vehicles, demolition, recycling and crushing and sieving technologies. 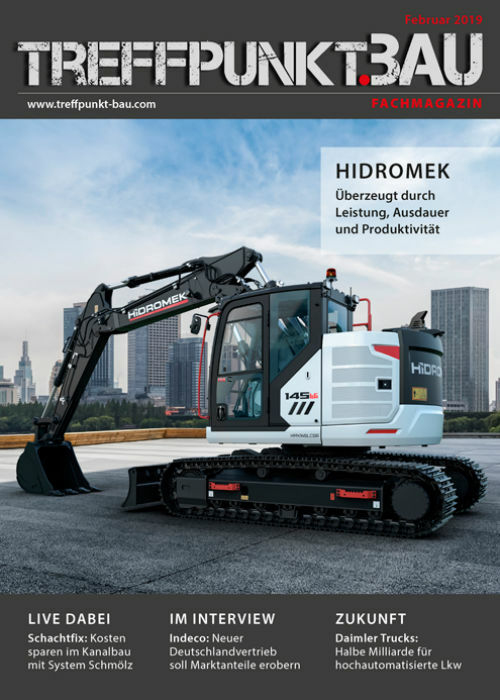 Those subjects are complemented by accessories and attachment appliances, OEM parts, wear parts, construction site facilities and tools. 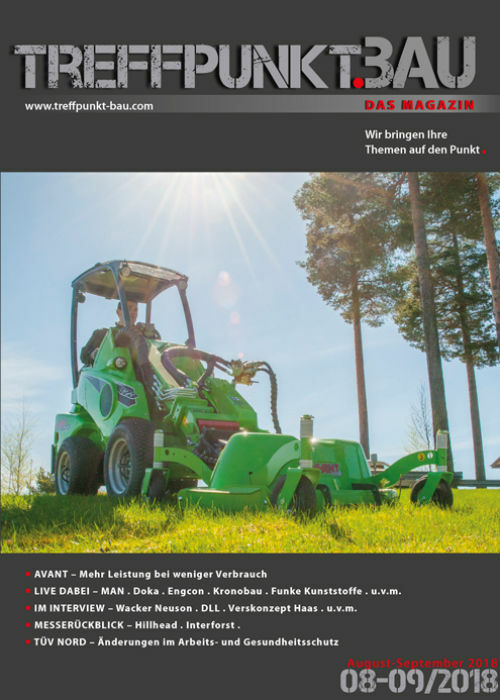 Regularly the publisher visits business events, conferences and machinery presentations that are held by manufacturers. 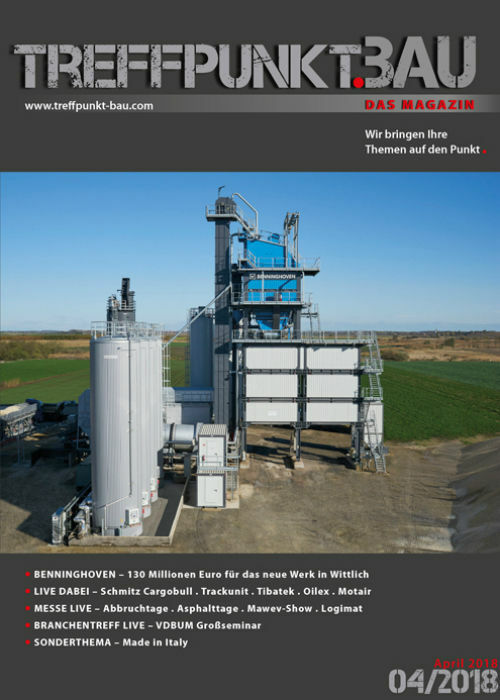 In the section “live dabei” the reader receives a review on useful and relevant information from Events, Conventions. The expertise of our authors and entertaining real-life examples complete our broad range of issues. 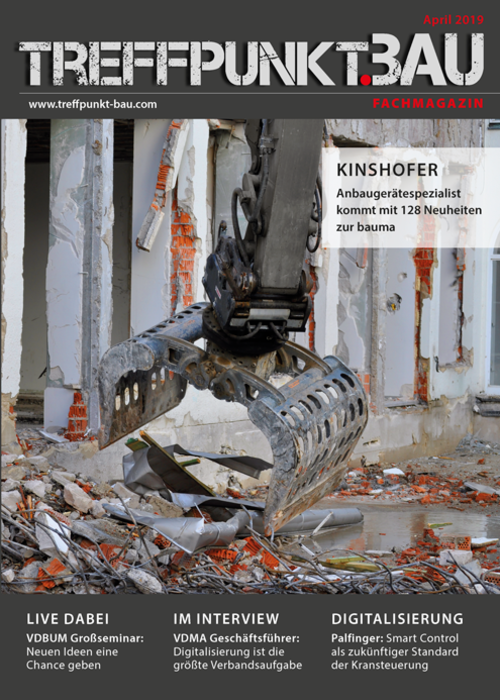 Here you can read or download our Media Pack (incl. Topcis Schedule 2019). 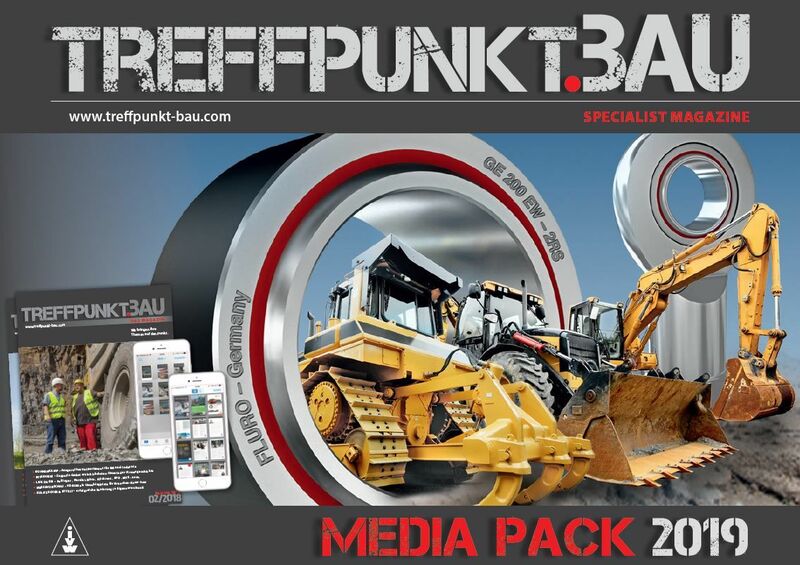 If desired, we will send you a trial copy of our Treffpunkt.Bau-Magazine and the Media Pack by post. We are looking forward to assist you with your advertising and PR planning.